Oregon lawyers established the Campaign for Equal Justice (CEJ) in 1991, with the mission of making equal access to justice a reality for all Oregonians. CEJ is the support organization for Oregon’s statewide legal aid programs, who encourage your support through CEJ. In the past 27 years, CEJ has raised more than $27 million in its annual fund drive. There are 850,000 low-income and elderly Oregonians eligible for legal aid services. The need has increased under pressure from a weak economy; since 2000, poverty in Oregon has risen by 61%. 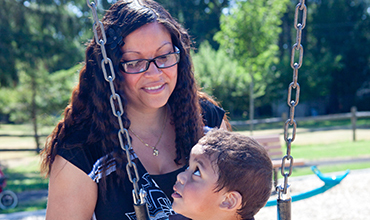 With help from supporters like you, Oregon legal aid programs will serve about 28,500 families and individuals this year. If you supported legal aid this year, thank you! If you did not, there's still time to help. securing public funding and foundation support to help maintain the integrity of our justice system. Learn about other ways you can help. Meet our board, staff, and advisory committee. Read about the findings of our Task Force on Legal Aid Funding. If you would like to get in contact with a legal aid office, please click here to locate the office near you.